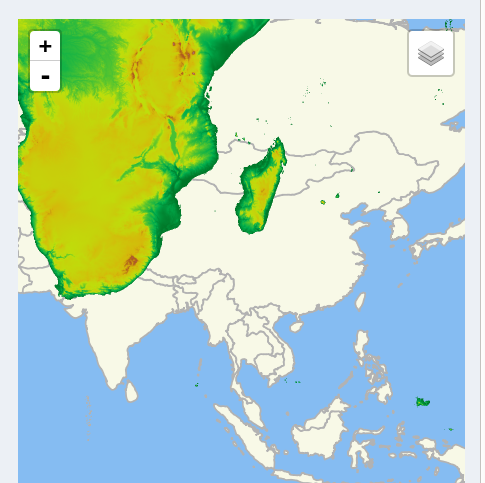 I'm trying to create an R Shiny map using the leaflet package to display input layers in the Plate Carree projection rather than the default Spherical Mercator projection. I've input OSM and WMS tile layers in EPSG 4326 but the OSM and other layers do not overlay (see attached image). Based on the setView coordinates the OSM map would seem to be correct, and the problem lies with the NASA GIBS data layers? Browse other questions tagged r leaflet shiny leaflet-r or ask your own question.